NHS England » What is Integrated Personal Commissioning (IPC)? 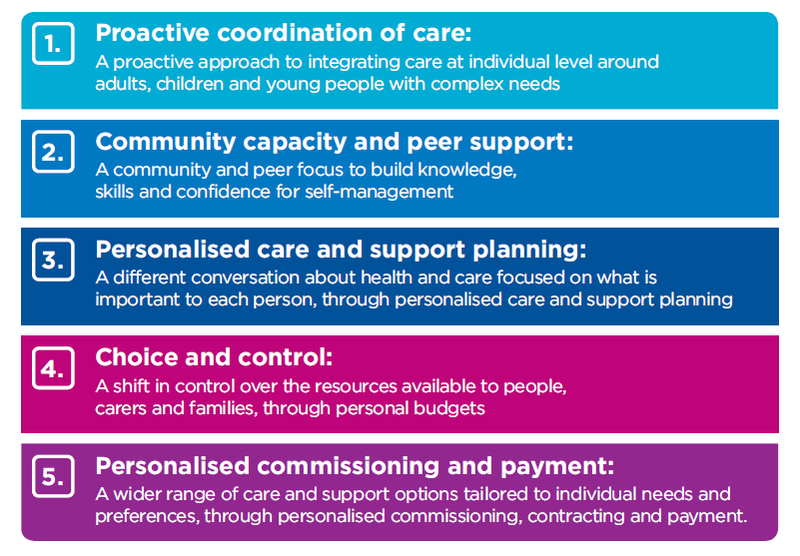 Integrated Personal Commissioning (IPC) is a nationally led, locally delivered programme that is supporting healthcare empowerment and the better integration of services across health, social care and the voluntary and community sector. The programme aims to ensure that services are tailored to people’s individual needs, building on learning from personal budgets in social care and progress with personal health budgets. Through IPC, people, carers and families with a range of long-term conditions and disabilities are supported to take a more active role in their health and wellbeing, with better information and access to support in their local community, and greater choice and control over their care. People with significant mental health needs, such as those eligible for the Care Programme Approach (CPA), or those who use high levels of unplanned care. In May 2016, based on learning from the first year of the programme, the IPC Emerging Framework (PDF) was published, describing the five key shifts in more detail. This short introductory film has also been produced by the national team. Following a rigorous shortlisting and interview process in 2015, a number of areas were selected to be IPC “demonstrators”, and lead the way in designing this model of care for people with complex needs in England. These demonstrators were joined by additional “early adopters” in late 2016, representing the first stage of national roll-out. Find out about current IPC areas. You can contact the national team by emailing England.integratedpersonalcommissioning@nhs.net.